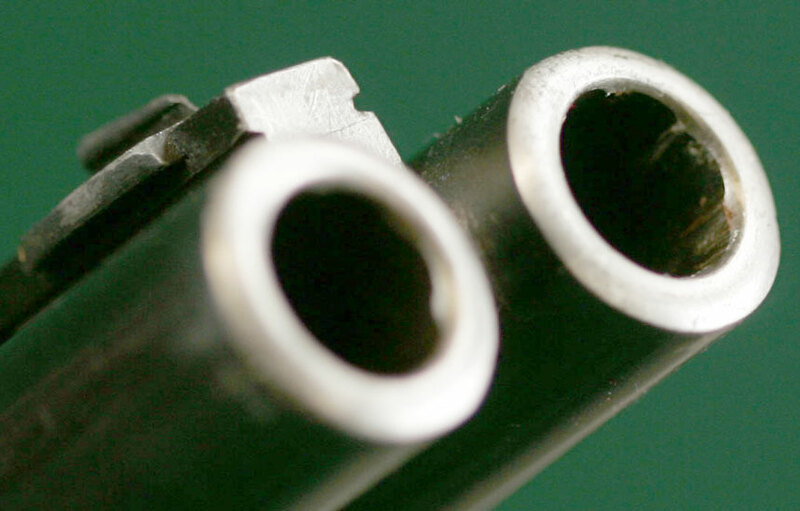 Vintage Winchester rifles tend to have flat Crowns. 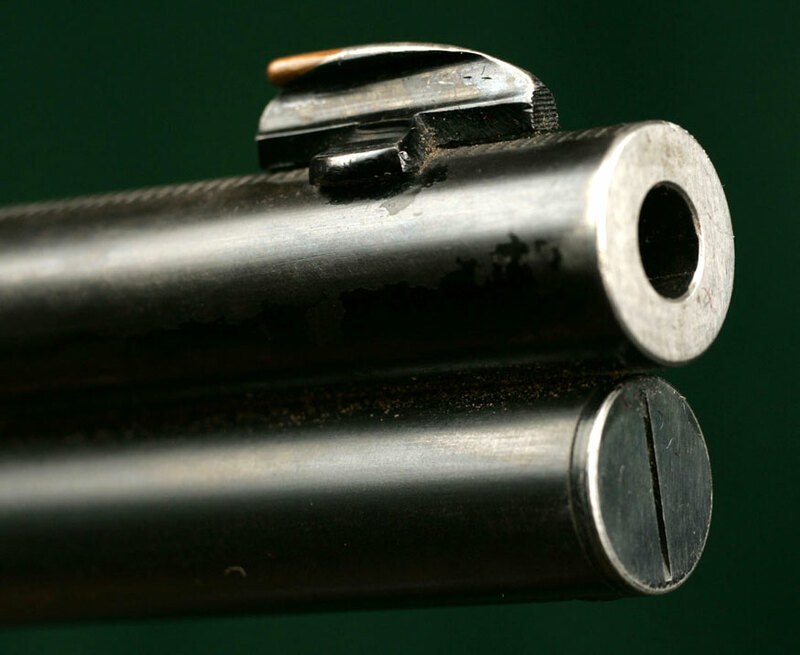 Crowns on a Dan'l Fraser double rifle with rebated rib---theoretically to avoid bullet deflection from asymmetrical gas dispersion as the bullet leaves the muzzle. 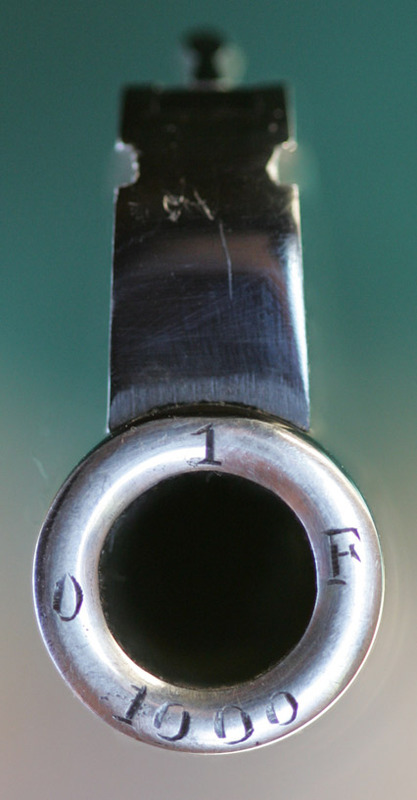 Crown - The finish contour of the muzzle of a rifle or a handgun. 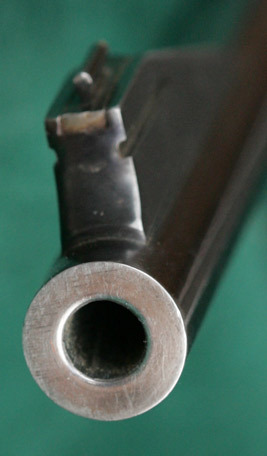 May be flat or rounded. 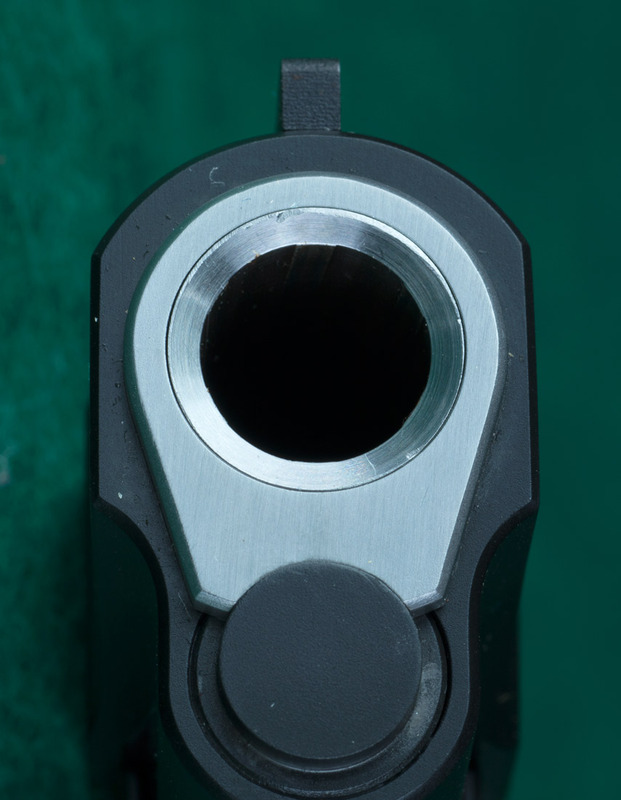 Often shows effective chamfering to protect the critical rifling at the absolute end of the muzzle.